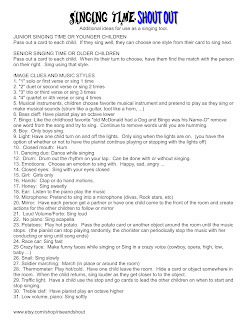 Singing Time Shout Out has 31+ ways to sing without any added preparation or props. 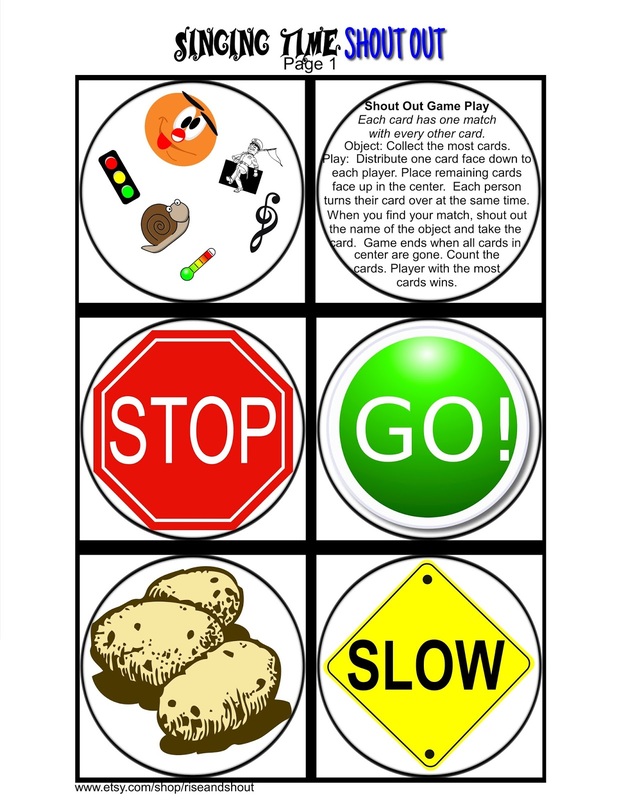 Sing it loud, or soft, without the piano, with your eyes closed, play hot potato or hot and cold. There are many different options. For young children (Junior Primary): I hand each child a card. 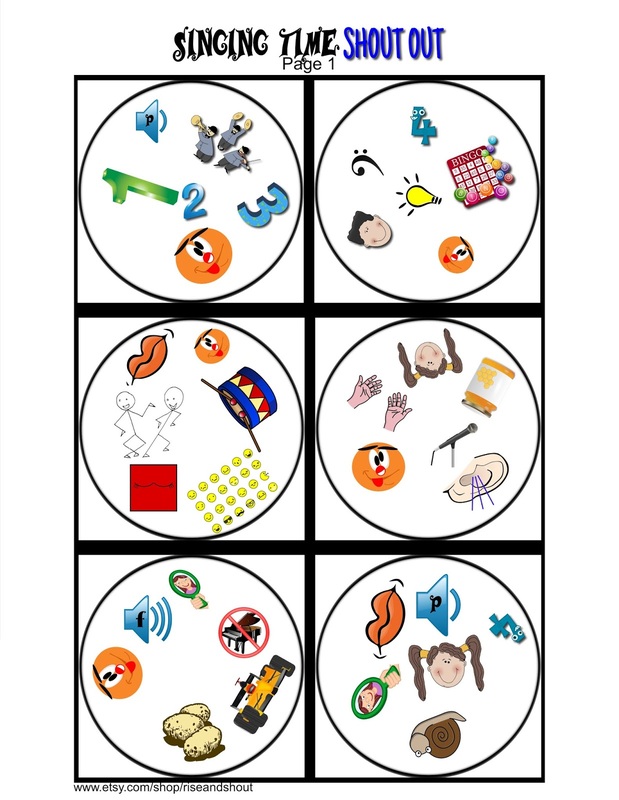 If they have been singing well, I have them choose one of the six images which indicates how to sing the song next. For older children (Senior Primary): I have them compare their card to the person's card next to them. Each card has one, and only match, to every other card. When they find the match, we sing according to that image. Singing Time Shout Out comes with 31 playing cards. 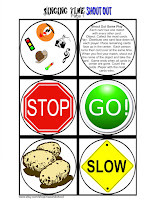 It also has some extra cards to facilitate some of the games, including Hot Potato and Red Light, Green Light. 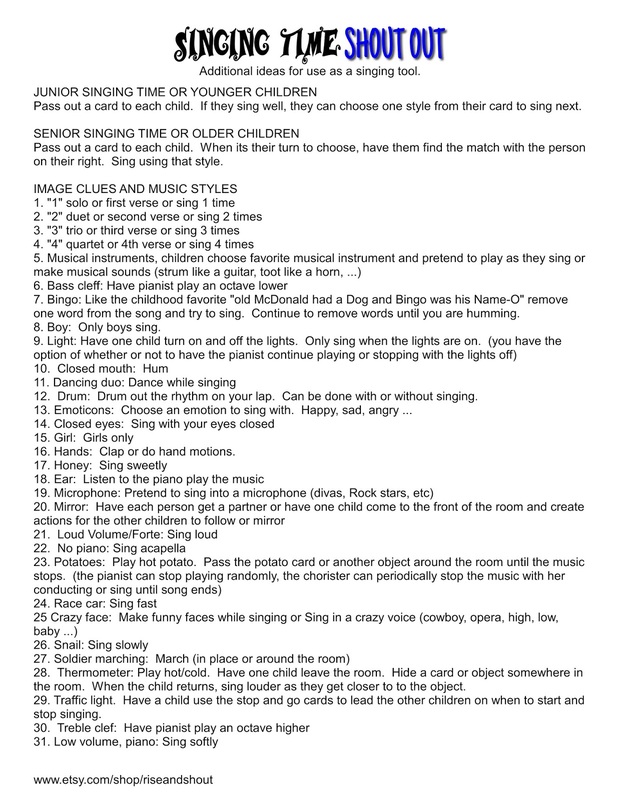 Speech Therapists: Most of the different ways to sing are also compatible with different ways to speak. 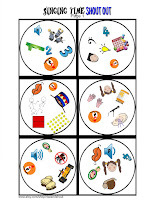 Practice saying words with emotions, loud, soft, use a mirror, crazy voices, clap or drum the syllables, fast, slow, say the word/phrase 1, 2, 3 or 4 times or more. 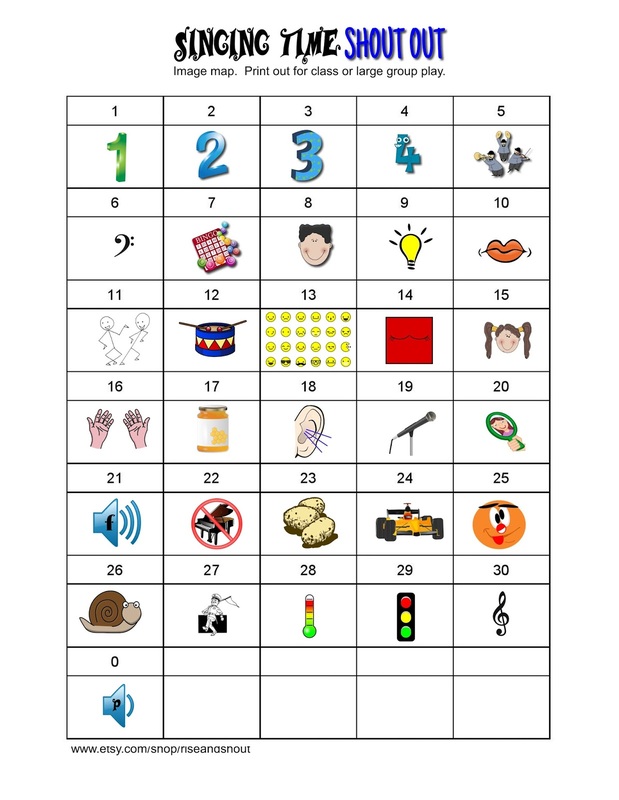 The only two symbols which are less compatible with speech are "without a piano" and "musical instruments." For "without a piano", I would recommend trying to say a phrase in a monotone voice. 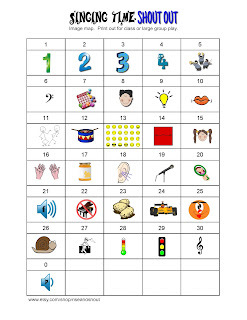 For "musical instrument" I would have the client speak in a sing song voice or repeat a sound as if playing an instrument.